In my opinion, one of the best developments to happen in photography recently is the stepped-up offerings of third party lens manufacturers. Early in my photography career, third party lenses were decent alternatives for a lower cost option, but my own experience was that the cost savings also came at a cost in performance. Those lenses weren’t as sharp, focused slower, and weren’t built to the same quality of similar lenses by Nikon and Canon (and other camera brands). 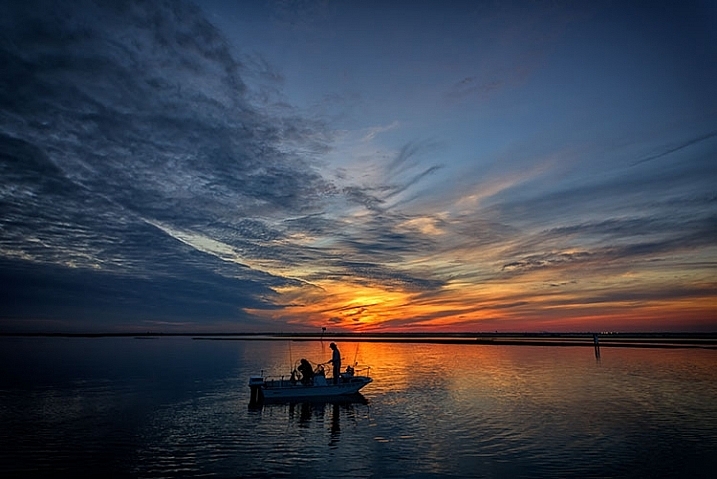 The Sigma 20mm lens allows for capturing expansive views when photographing landscapes. Enter Sigma’s Art lineup of lenses. When the Sigma 35mm f/1.4 Art lens was introduced in 2012, it ushered in a new era of third party lenses, giving users lower cost options while maintaining high image quality and performance. As Sigma has continued to build out their Art lineup, adding a 50mm f/1.4, a mind-boggling 50-100mm f/1.8 zoom for APS-C cameras, and others – photographers are gaining new respect for Sigma as a lens maker. Recently, Sigma announced a new entry, the 20mm f/1.4 DG HSM Art lens, and I was thrilled to have an opportunity to try it out. When the lens first showed up on my doorstep, I immediately unpacked it to see what Sigma has done. It is impressive. An ultra-wide angle lens with an ultra-fast maximum aperture, the 20mm f/1.4 Art lens is one with quite a few applications including; photojournalism, wedding photography, street photography, and landscapes, to name a few. If the image quality for this lens lives up to the reputation of previous Art lenses, it’s going to be an incredible lens to work with. A quick glance at the major manufacturers’ websites reveals that no other lens maker builds a 20mm lens with a maximum aperture as large as the Sigma 20mm f/1.4 Art lens. That fast aperture allows a lot of room for use of shallow depth of field, or for working in low light conditions. It also makes applications such as astrophotography a bit easier as well. The minimum aperture is only f/16, as opposed to f/22 on lenses such as the Canon Ef 24mm f/1.4. While that is not a huge issue, it does mean that when you’re trying to use slow shutter speeds on sunny days, a filter may be necessary. 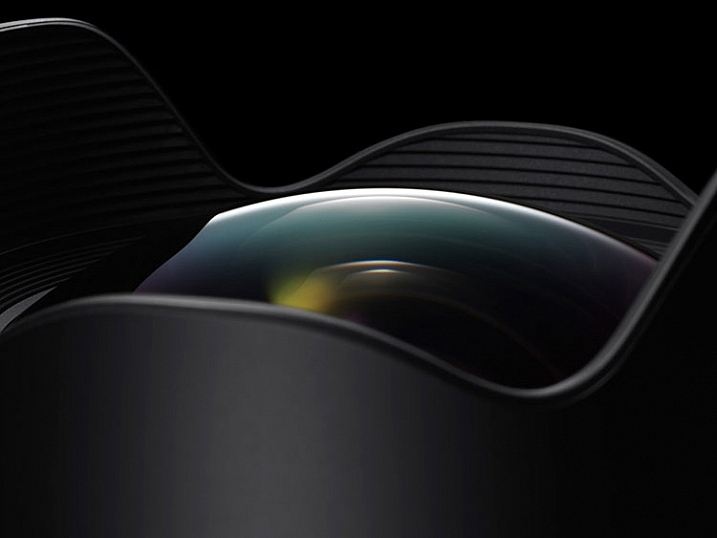 The bulbous front element of the Sigma 20mm f/1.4 DG HSM Art lens. Photo courtesy of Sigma. Out of the box, the lens is fairly sizable (90.7mm x 129.8mm / 3.6 x 5.1 inches) and is a bit heavy (950 g / 33.5 oz.). It is considerably larger than my Nikon 24mm f/1.4 G or the Canon EF 24mm f/1.4L II. The outer barrel does have a bit of plastic feel to it, but the brass mount and considerable heft, assuage any fears of cheap build quality. Constructed of 15 elements in 11 groups, including F Low Dispersion, Special Low Dispersion, and aspherical elements, Sigma claimed class-leading image quality. I found minimal distortion and chromatic aberration in images I shot with this lens, and what I did find was easily corrected in Lightroom or Photoshop. The lens features a 9-blade rounded diaphragm aperture, excellent for soft rounded bokeh in out of focus areas of the image. Minimum focusing distance is 27.6 cm or 10.9 in. My one disappointment with the lens is the bulbous front element, which eliminates the ability to use either screw-in filters such as polarizers, or the smaller 100mm drop-in filters. While I have a set of 150mm filters, my adapter would not fit the lens, and other manufacturers had yet to build an adapter that works. I am told by several filter manufacturers that they are working on a suitable adapter for the 150mm filter kits on the market. Being a landscape photographer, the first thing I wanted to do was take this lens for a spin at one or two of my favorite local spots. 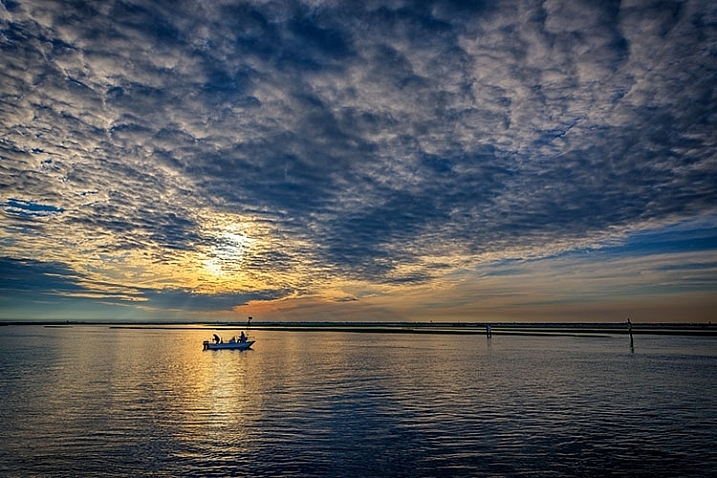 While the lack of filters meant I had some difficult choices to make when photographing the sunset, I was anxious to use the wide angle lens to accentuate the foreground and the sky. The Sigma 20mm f/1.4 Art gave me no issues and focused smoothly on my subject. The 94.5° field of view on a full frame sensor provides a nice panoramic image, allowing you to emphasize the immediate foreground while creating context in showing the background. The necessity of filters will be more dictated by your camera sensor’s dynamic range, but I found on my Nikon D810, I was able to expose for the highlights and recover the shadows in post-production. Sharpness throughout the scene was excellent, with minimal distortion and loss of resolution at the corners. Color and contrast are excellent as well. My next test was to try the lens at a wedding. 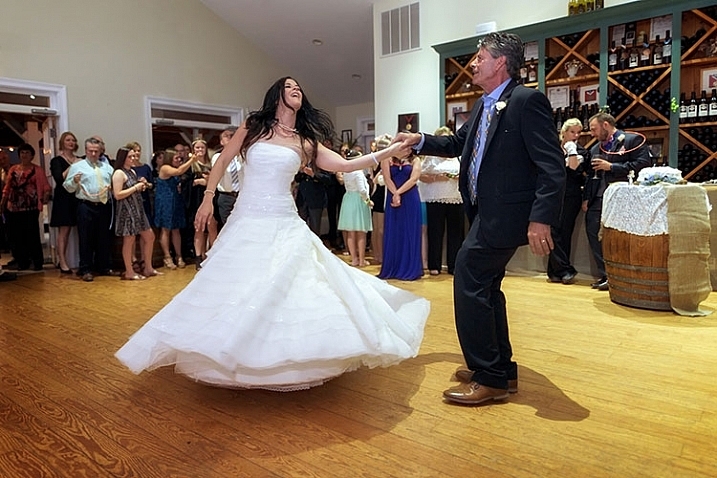 I will often employ a wide angle lens for capturing action on the dance floor, and occasionally for environmental portraits of the bride and groom like the image above. 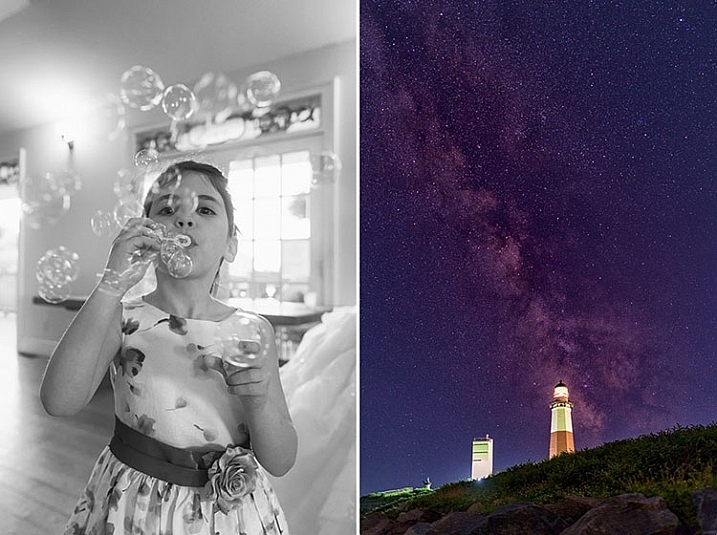 I found the Sigma 20mm f/1.4 Art lens excelled in both instances. On the dance floor, even in low light, I found the lens to focus quickly and accurately. The fast aperture allowed me to minimize my use of flash in the reception hall (below), and use the ambient lighting for a more natural, festive look. In addition, for the formal portraits I used the lens outdoors at sunset for some bridal portraits, and was impressed with the image quality in a high contrast situation. 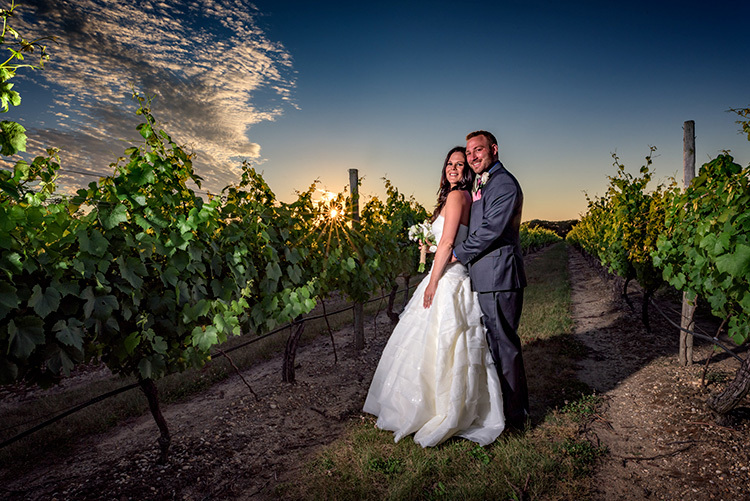 I used an external strobe to light the bride and groom (image above), with the sunset in the background, and stopped all the way down to f/16 for a starburst effect on the sun. My final test was to do some astrophotography with the lens. In the past, I’ve used both the Nikon 24mm f/1.4 and the Canon EF 24mm f/1.4L II lenses, and while both were satisfactory, each has a tendency to produce some comatic aberration, especially in the corners. While I did find some coma using the Sigma 20mm f/1.4 Art, I found it to be less noticeable than either the Nikon or the Canon. The fast f/1.4 aperture allowed me to capture the stars, while using an ISO of 800 and a 15 second exposure time. If nothing else, this lens is an astrophotographer’s dream, being wider than any other f/1.4 lens currently on the market, which allows for capturing expansive sections of the night sky. In the 20mm f/1.4 Art lens, Sigma has managed to build an exceptional, wide aperture, wide angle lens that will suit a variety of photographers, from photojournalists, to landscape artists, street photographers and wedding photographers. Priced at $899, it’s less than half the price of the equivalent Nikon or Canon 24mm lenses, and provides a wider angle. Nikon’s 20mm f/1.8G is as close as the major manufacturers get to this lens, at a cost of $100 less than the Sigma. 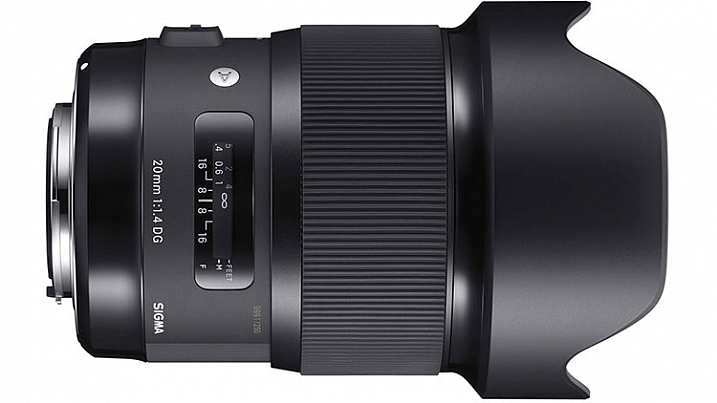 The Sigma 20mm f/1.4 DG HSM Art is available in Canon, Nikon, and Sigma mounts. I highly recommend this lens to anyone in the market for an ultra-wide, ultra-fast lens. My one caveat is that if you’re not already invested in a 150mm filter system, you will need to do so if you want to use filters with this beast.